Tell us about your role at Wisconsin Manufacturers and Commerce. I’m the Senior Vice President of Government Relations. I oversee our team of lobbyists who communicate with legislators, their staff, and executive branch agency staff and explain to them our position on issues that impact businesses when they are attempting to change policies. Why is it important for chambers of commerce to be involved in their local municipality governments? The most important reason is that local governments make a lot of decisions that significantly impact businesses and impact whether or not their business will be profitable. One of the biggest taxes that a business pays every year is the property tax. The property tax is 100 percent a local-government tax and businesses pay almost $3 billion per year every year in property taxes to local governments. There are also a lot of other types of fees that local governments asses against businesses. For example, about 120 or so municipalities in Wisconsin have established what’s called a stormwater utility and they pay for it by enclosing fees on their property owners, which almost always fall the heaviest on businesses. How much attention should chambers of commerce be paying to municipality governments? I think they should be paying a lot of attention because municipal governments make a lot of decisions that significantly impact businesses. I would argue that there is less and less attention being paid in traditional-print media outlets to what is happening at the local-government level. So, it’s increasingly difficult for businesses to keep tabs on what is going on at the local government level and really know what’s happening. The local chamber of commerce could be watching that on behalf of their members, and communicating what is happening to their members. That would be a significant value to their membership. Who in the government should chambers of commerce be involved with? I think certainly at the local-government level. If it’s a city, they should be involved with the mayor; if it’s a village, then the village president; if it’s a town, then the town board chair; and at a county level, then there is a county executive. Either way, they would want to have a relationship with those individuals because they are the top decision-makers at the local level. However, they also need to have a relationship with the actual members of the decision-making body. So, in the case of the city, we would be talking about the city council. In the case of a village, we would be talking about a village board of trustees; if it’s a township, then the town’s supervisors; and at the county level, it would be the county board of supervisors. Can you talk through actionable steps that associations can take when they see issues that impact businesses? For chambers of commerce, I think that one of the most important things they can do is to make sure that their members are aware of what’s going on. If businesses don’t know that it’s happening, then they’re not going to be able to participate in the decision-making in any kind of meaningful way. So, I would say the first step is awareness — make sure businesses know what’s going on. I think it’s about being an advocate, communicating, and making sure that the people who are elected to make the decisions at the local-government level understand the perspectives of the businesses that are going to be impacted. 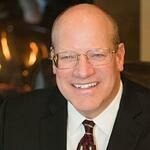 Scott Manley joined WMC in 2005 after serving more than ten years as a policy advisor in the Wisconsin State Senate. He now serves as chief lobbyist for WMC, and oversees the government relations program by directing a team of lobbyists and policy experts. Manley also currently serves as Vice President of the Wisconsin Civil Justice Council and serves as Vice Chairman of the Great Lakes Legal Foundation. It's Election Day, and if you've made it to the polls on time, congrats! While voting in a non-presidential race may not be as exciting, we all know mayoral and gubernatorial elections have the most impact on our everyday life. Non-federal government officials have a say in how millions of dollars of your taxes are spent in your own backyard. Policy decisions approved by your state or city legislative bodies can be vetoed by a mayor or governor. Ordinances passed by one city can get easily passed in neighboring cities, and even by the state if it reaches the Legislature. 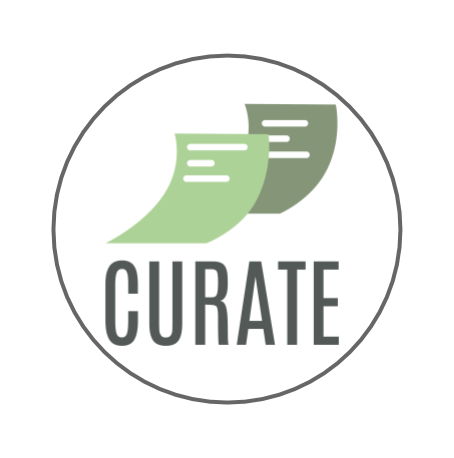 On a weekly basis, Curate sees the direct impact mayors have on city councils reviewing proposed policy changes, such as minimum-wage or mining ordinances. Our software scans hundreds of thousands of unique municipality meeting minutes and agendas, and we can testify that in cities from 2,000 in population to 200,000, mayors have an incredible amount of decision making power — and the same goes for governors as well. Whether you're voting for mayor or governor (or both!) remember that all policy starts with the government leaders closer to your house than the White House. 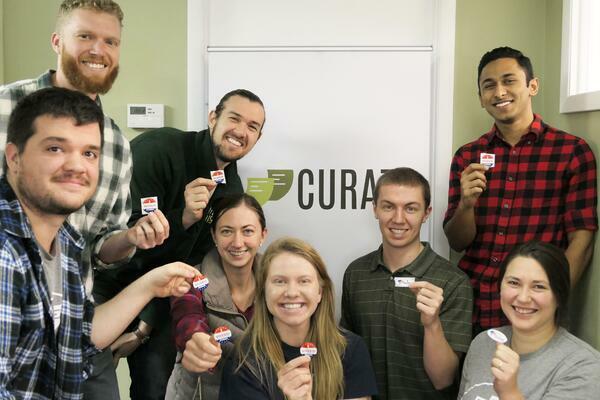 The Curate team will always be proud to vote in our state and local elections! With more than 1.3 million REALTORS® and 75 million property owners affected by public policy change across the United States every day, it’s no surprise the annual NAR Conference set for next week focuses so heavily on advocacy, especially on the local level. 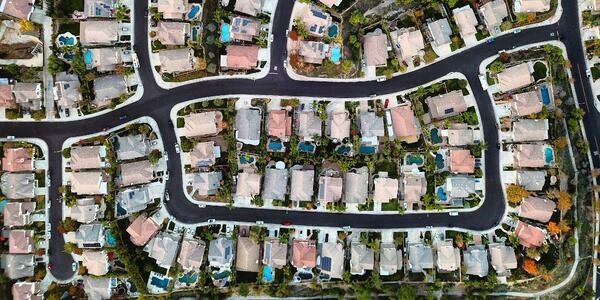 Before appeals that impact the local real estate climate spread like wildfire among homeowners and buyers, they’re first discussed by local municipalities from school boards to city councils. However, it’s not guaranteed you’ll hear every concern through the grapevine, or be able to vote a REALTOR® the next open seat on city council. And unless you have superhuman abilities, it’s impossible to attend all these municipality meetings yourself. To help harness the grassroots strength of your REALTORS® association, CurateLOCAL is the virtual fly on the wall for all local discussions across your state. We are powered by cutting-edge tech that goes to your state's counties', cities', villages', and towns' websites each week. On these websites, CurateLOCAL gathers the most recently posted minutes and agendas documents from all the local government meetings, including commissions, committees, and boards. Our artificial intelligence then reads through and pinpoints needle-in-a-haystack keywords related to key issues your governmental affairs team wants to keep tabs on, such as “sign ordinance”, “zoning code rewrite”, or “impact fee”. This allows you to see only the relevant snippets of discussions that are impacting the real estate market in all counties, cities, villages, or towns across your state, displayed verbatim on your association’s CurateLOCAL dashboard. By consolidating the reliable and consistent information from all municipality meeting minutes and agendas each week, our goal is to optimize the way associations — at the state or regional level — know which communities are discussing policies that impact REALTORS® right now and help government affairs teams prioritize advocacy strategies more effectively in the long run.